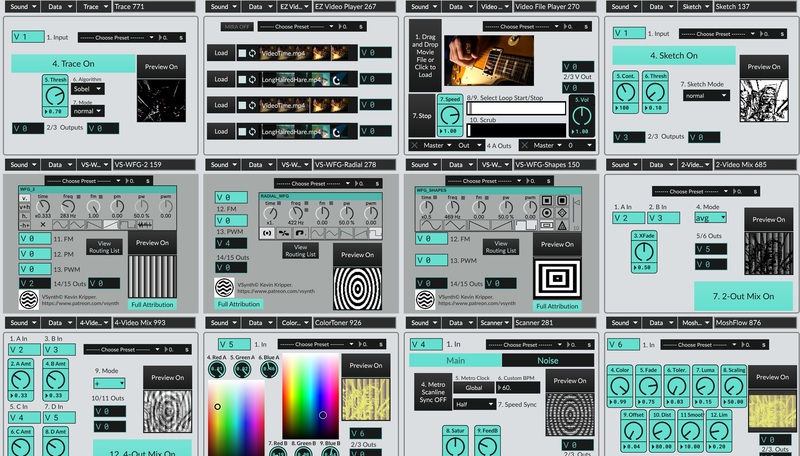 The time has arrived at long last: The Music and Sound Design Platform 2.0 is here! In the recent announcement article we introduced video modules, the new console, and improved file support with the new media manager and drag-and-drop for modules. Then, in our second announcement article we looked at metro-sync functionality, auto-downloading, and revealed the full module list. Today, alongside the launch of 2.0, we have the complete list of new features. There’s a lot of ground to cover here, and look towards the new YouTube tutorials and online documentation for more details. It was pretty obvious, really. Ever do something that seems so obvious that you kick yourself for not doing it sooner? That was the experience I had making the Signal Automator. This module allows you to use any audio signal to control the values of almost any MSDP parameter. 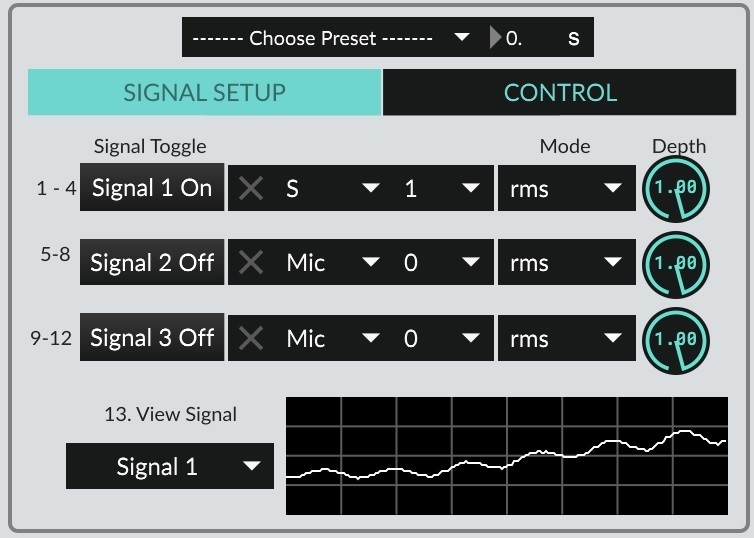 Use your kick drum to control the volume of your synthesizer, or make your instrument control the frequency of the new VSynth video synthesizer! Finally, we have audio-reactive everything, just one module away. The Metronome Automator Setup and Design tabs. The Metronome Automator allows you to craft complex parameter changes queued up to specific measure / beat / division values. Set linear parameter changes or use the graph tab to design multi-stage parameter modifications. 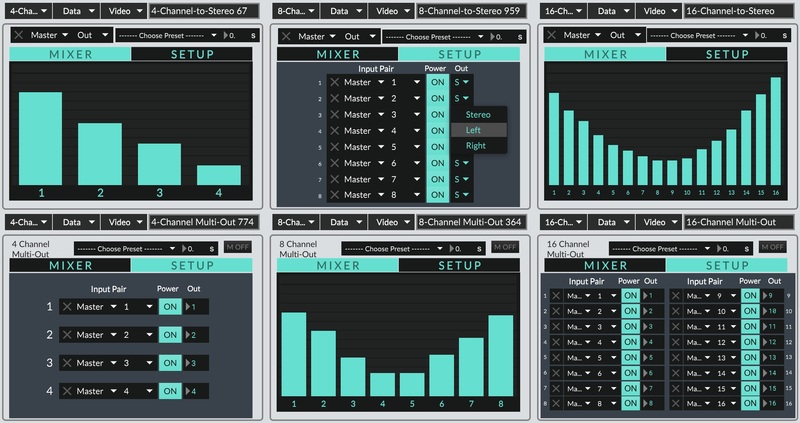 On the sound side of the equation, we have a new metro-synced Stereo Echo module, an Impulse Response Convolution module, and SIX new types of Mixers. The Stereo Echo (left) and the IR Convolution module (right). The new Stereo Echo is our most powerful echo module yet, allowing you to choose a distinct delay for both the left and right channels, and giving you the option of syncing each channel to the Console Metronome OR setting a value in absolute milliseconds. The IR Convolution module gives you real-time convolution for computationally cheap but powerful reverb and amplifier simulation. You can even use your own audio files to create wild and truly unexpected convolution! 4-8-and-16 Channel in to Stereo Out or Multi-Speaker Out. MSDP finally goes multi-channel with our new mixer modules! Select the appropriate number of channels - 4, 8, or 16 - and mix the volume levels for each signal before sending it out to your multi-speaker setup. When used in combination with the ‘Audio Status’ window - see ‘Working with Sound’ in our online manual - you can mix and send signals to up-to 1024 speakers! But maybe you just want to use a mixer to get better control over your stereo sound project! We’ve got 4, 8, and 16 Channel to Stereo mixers as well. Use this to create a final mix for your project OR use it to combine multiple signals together to be processed in another module! You can read our previous coverage of video modules, or check out the working with video tutorial on our online documentation, or even check out our getting started videos on YouTube to learn more about how to work with video in MSDP 2.0. Today, we’ll just be looking at the initial video module list that launches today! And, of course, we couldn’t release an update without squashing as many bugs as we could find. Metro sync duration values in stochastic modules properly saves. Meta-Box modules on boards with Meta-Box modules no longer break project files. Audio engine now auto-restarts when updating driver, input, or output. Save confirmation appears when using the Ctrl+S and Cmnd+S save method. Second signal output now defaults to Master 0 - an actual non-functional address. Dial automation now works again for negative values.